Susan Oropallo enjoying the Dallas / Fort Worth airport view from the fifth floor of the Hyatt West. 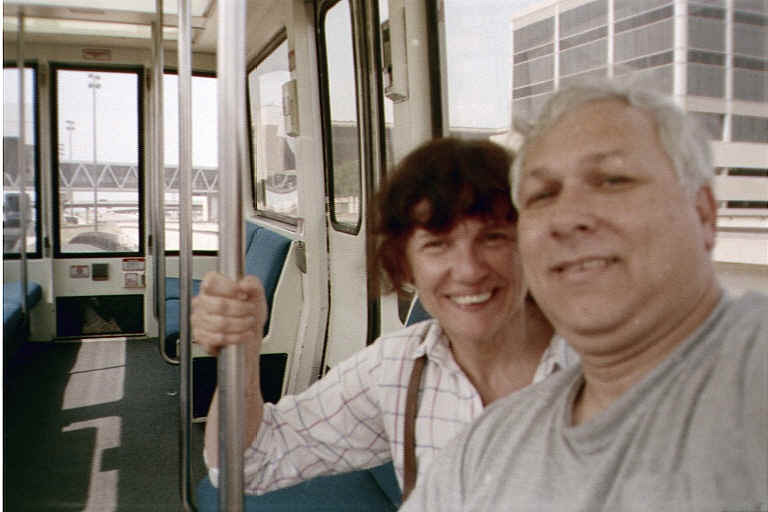 Here are Susan and Charles riding the Dallas / Fort Worth Airport train shuttle system. 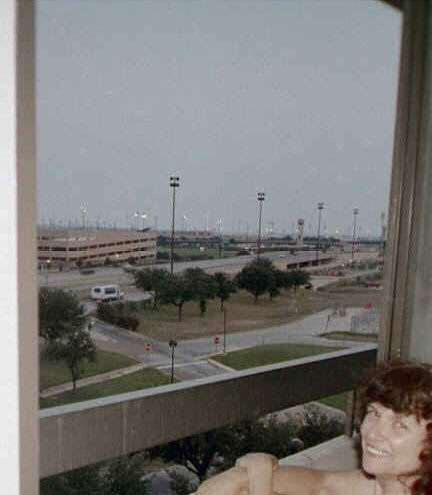 Here is Susan enjoying the spectacular balcony view of the Dallas/Fort Worth airport that we had from our fifth floor room in the Hyatt West.